The G26 is the “Danny Devito of Glock pistols,” says Michael Goerlich, but the Glock 48 is Goldilocks. It’s just right. If you like what you read, help keep us in business. We’ll make it worth your while. The advent of the Slimline series of Glock pistols (Glock 43X and Glock 48) stirred up a predictably huge amount of discussion. There were compliments, declamations, criticisms, and pontifications of every kind. Pretty much the same as any time an interesting or unusual new firearm makes an appearance. 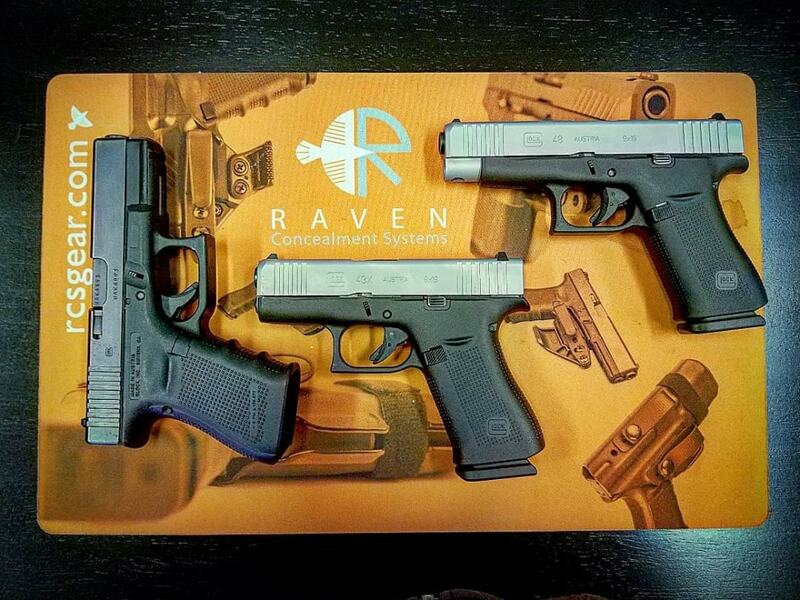 One of those involved in the discussions was Michael Goerlich, of Raven Concealment Systems. 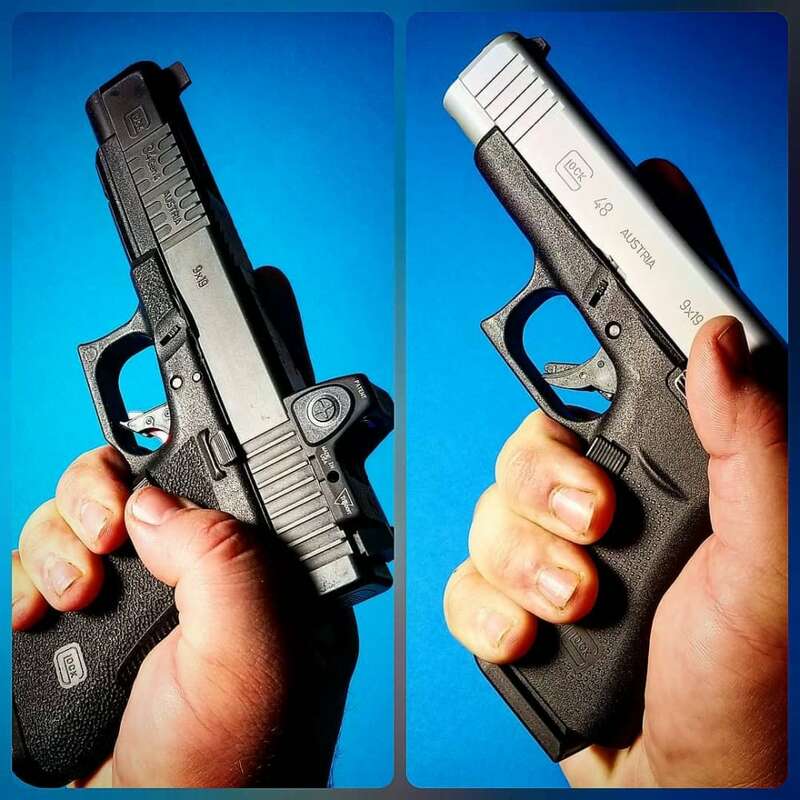 Goerlich, the Great Glock Colluder of Cleveland, has had his long, blanched dickskinners on a Glock 43X and Glock 48 for a while now, likely in order to develop holsters for them. This gave him some informed perspective on it, more so than many, less than some. This, coupled with his encyclopedic, if eerily pale, knowledge of concealing stuff under clothes (read some of his posts about it, sometime), lent his commentary a little more credence than others. Perhaps more importantly to some, the images (with explanation) provided many people with their first clear look of how the different pistol frames compared. Because I haven’t put hands on either of the Slimline Glocks yet (prob’ly ‘cuz I look better in cowboy boots than Josh Dorsey), I compiled a bunch of what MG had to say and put it in one place. 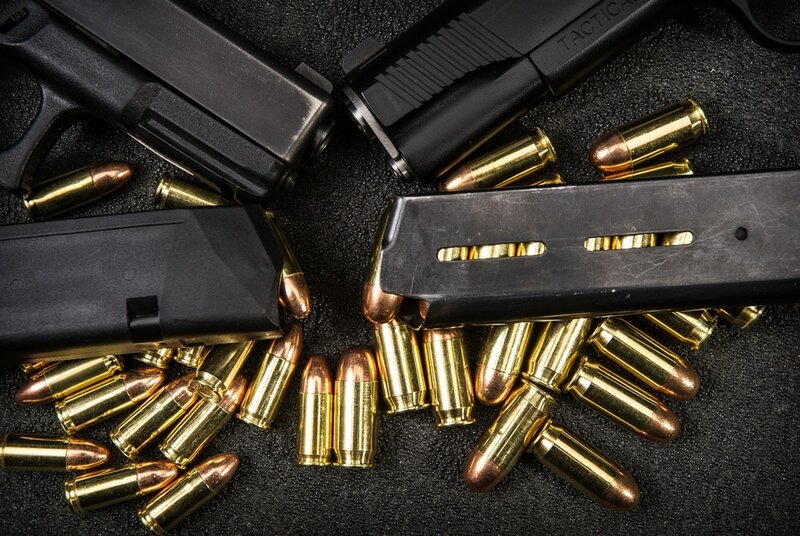 MG: “Let’s compare the @glockinc G48 to other pistols in order to highlight some of the advantages that the G48 brings to the CCW handgun market. While it’s easy to make the obvious “single-stack G19” analogy, perhaps a better pistol for comparison is the Danny Devito of the Glock pistol family: the G26. Here you see two 9x19mm semi-automatic handguns with 10+1round ammunition capacity. 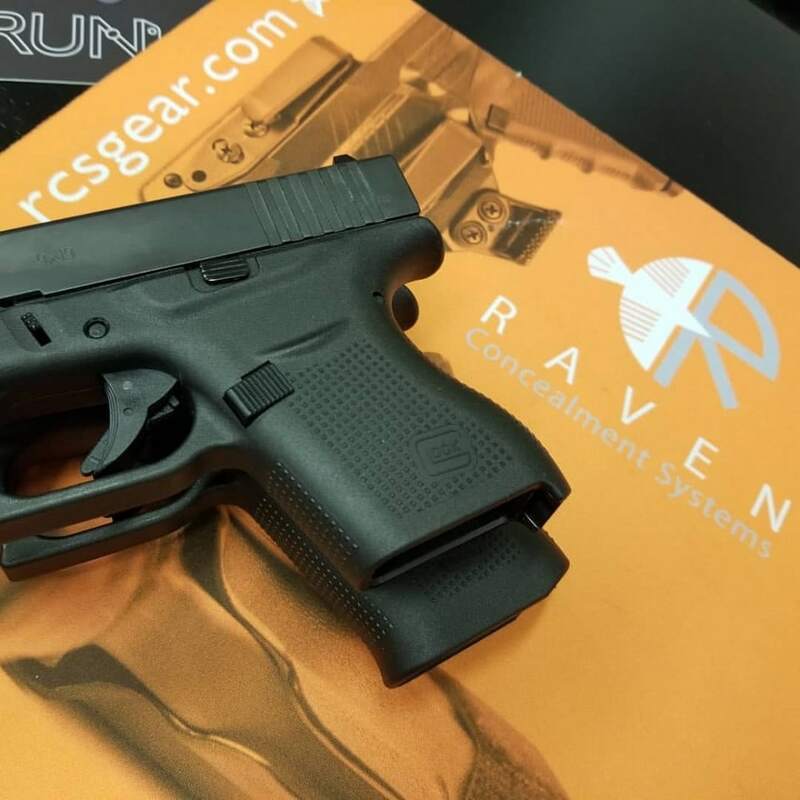 The G26 is short and…well, what’s the socially acceptable term? THICC? Husky? Chunky? Stocky? We aren’t here to body-shame any firearms, so whatever term you prefer to use, it’s a double-stack pistol. 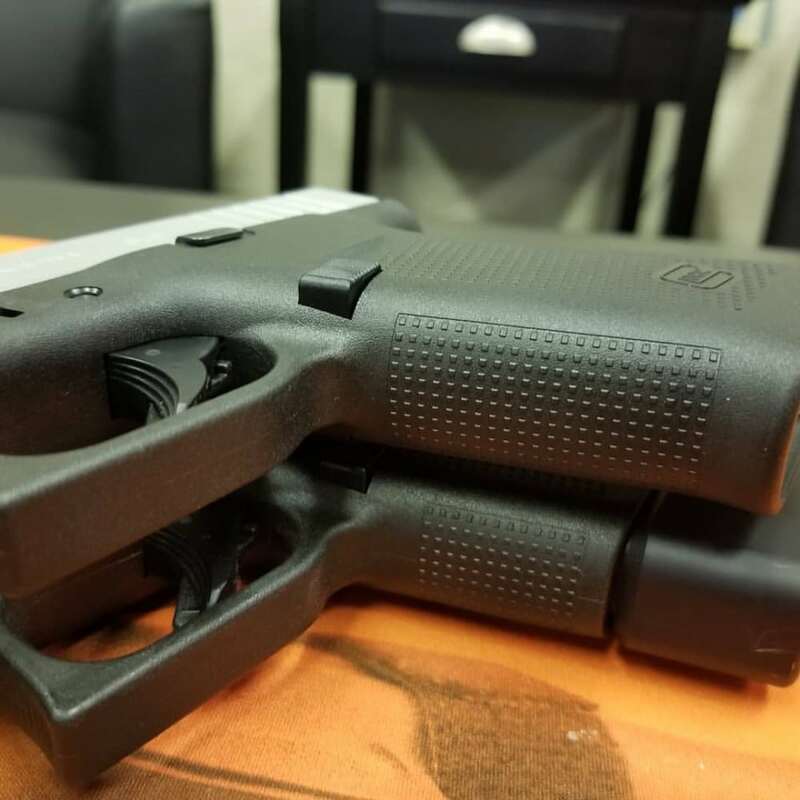 The G48 has the same capacity as the G26, but a longer sight-radius, a longer barrel (which increases muzzle velocity, even if only a small amount), a longer slide, and an overall noticeably slimmer slide, frame, and grip…all of which make it easier and more comfortable for many people to conceal and shoot, especially if you have small hands. 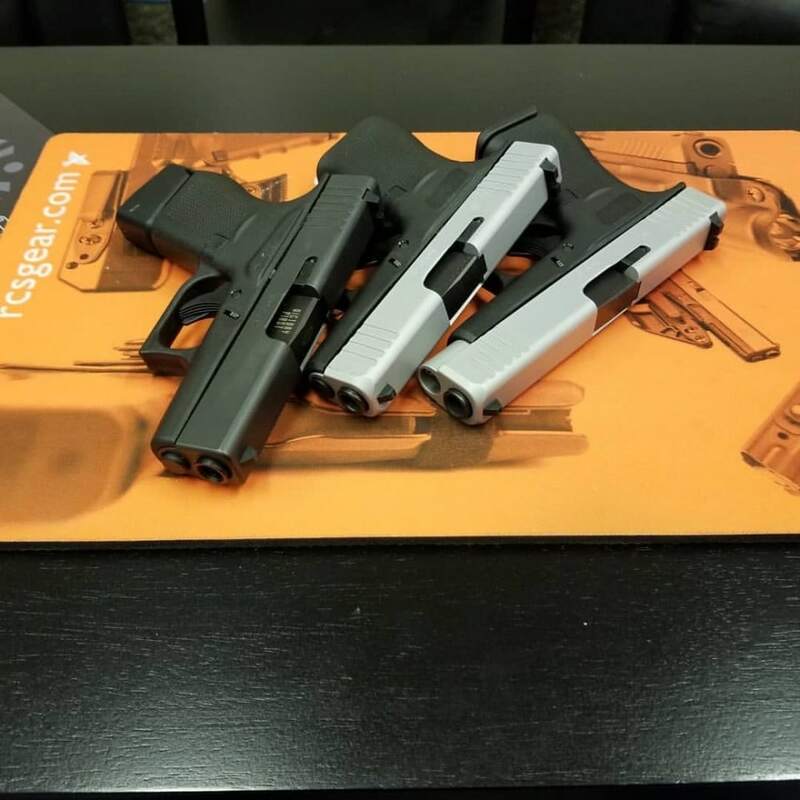 Read on for more about the Glock 48 and Glock 43X Slimline Pistols. Just kidding, Josh. You look straight outta the Hat Creek Cattle Company (& Livery Emporium). Q: What’s the big deal about the Glock 48? Goerlich is a proponent of the G48 and G43X. You can agree with him, or not, I’m just passing along the information. 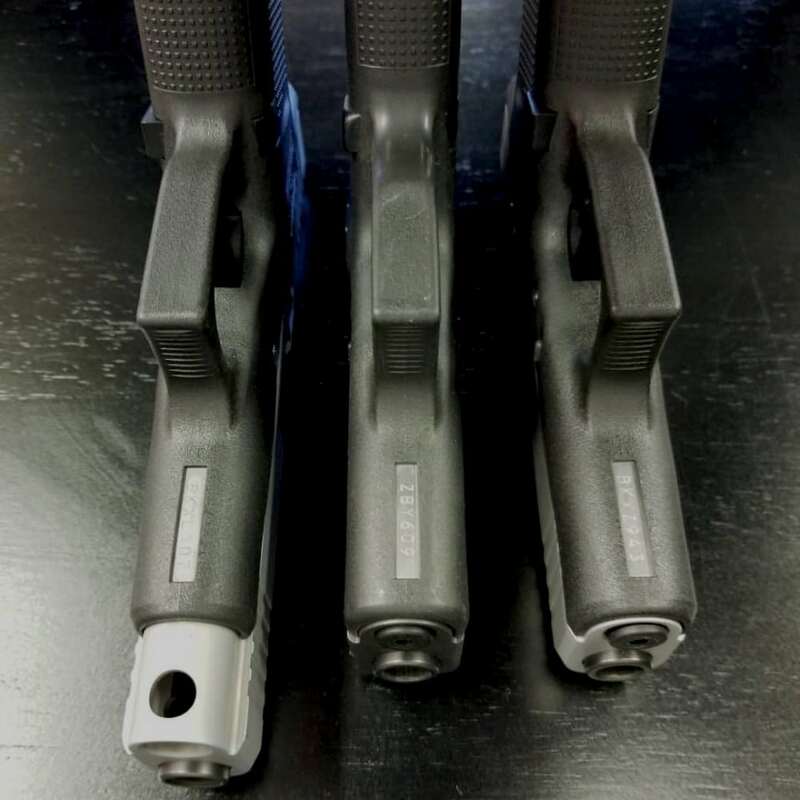 Q: Will the 43X put the G26 out of the mix? A: The G26 is still better for ankle carry. But for AIWB or strong-side IWB, the G48 beats the G26 in almost every way (except mag compatibility with service pistols). 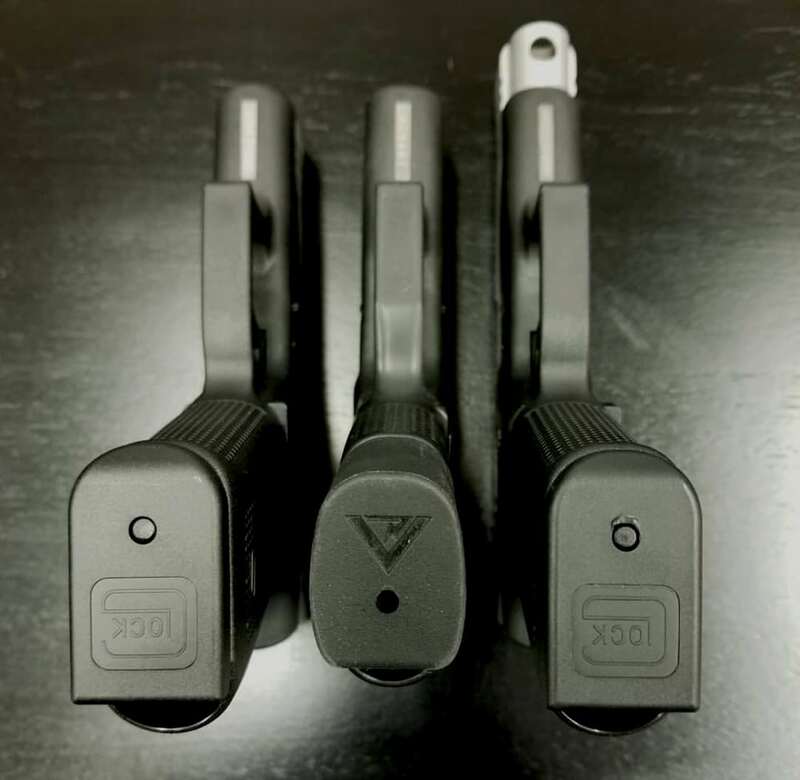 Here are three different views of the Glock 48 and Glock 43X. ; commentary below. Now, here’s a bit about holsters. 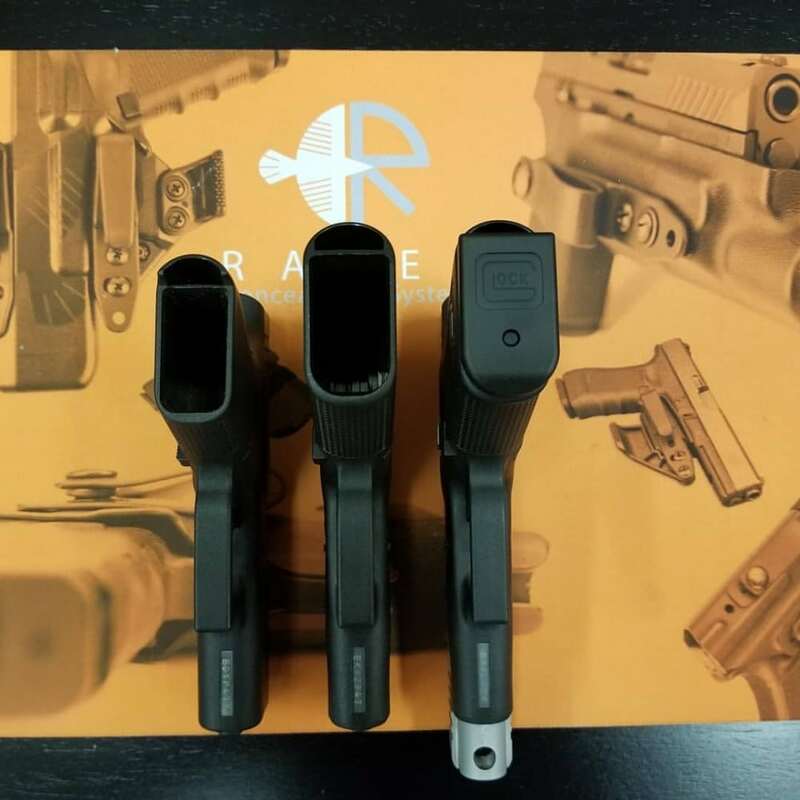 There’s obviously some self-service here because, well, RCS builds holsters, but there’s still some info to be gleaned. • and the Perun (our OWB holster). 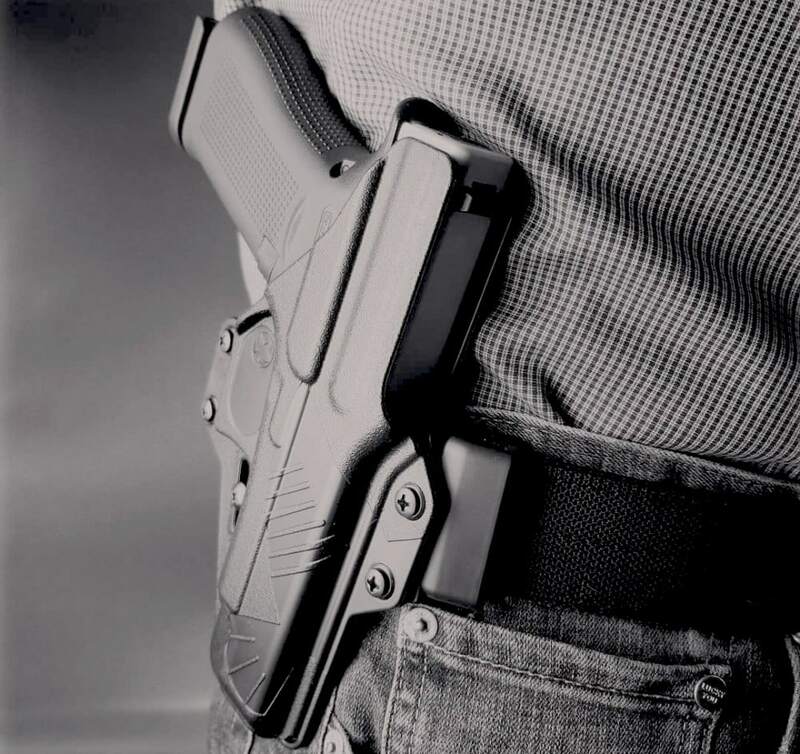 Q: Is the grip on on a gun the hardest thing to conceal? A: Certain body types and clothing styles/fits can handle a slightly longer grip if the gun is slimmer. Some can handle a wider gun provided the grip is short. It is not as cut and dried as your statement makes it seem. As the guy actually in possession of the G48, I can tell you there are outfits I would DEFINITELY definitely prefer the G48 for concealment, and others where I would prefer the G26. But I have large/extra-large hands and can shoot either pistol quite well. Many people have small-to-mid-sized hands, and the G48 would end up being dressed around simply based on the shootability. MG: In a previous post, we showed you “medium” sized hands on the @glockinc G48. Well, here’s another important comparison shot: HUGE hands on the G48. On the left, you see @barroompaladin holding his normal carry gun (a Glock 34) in his enormous hands. On the right, you see his giant mitts on a G48. Unlike most ‘little’ guns, the G48 is incredibly shootable by people that can palm a basketball. In fact, it fits a tremendous range of hand sizes. I am 6’4, 210lbs, and look petite standing next to Jack. 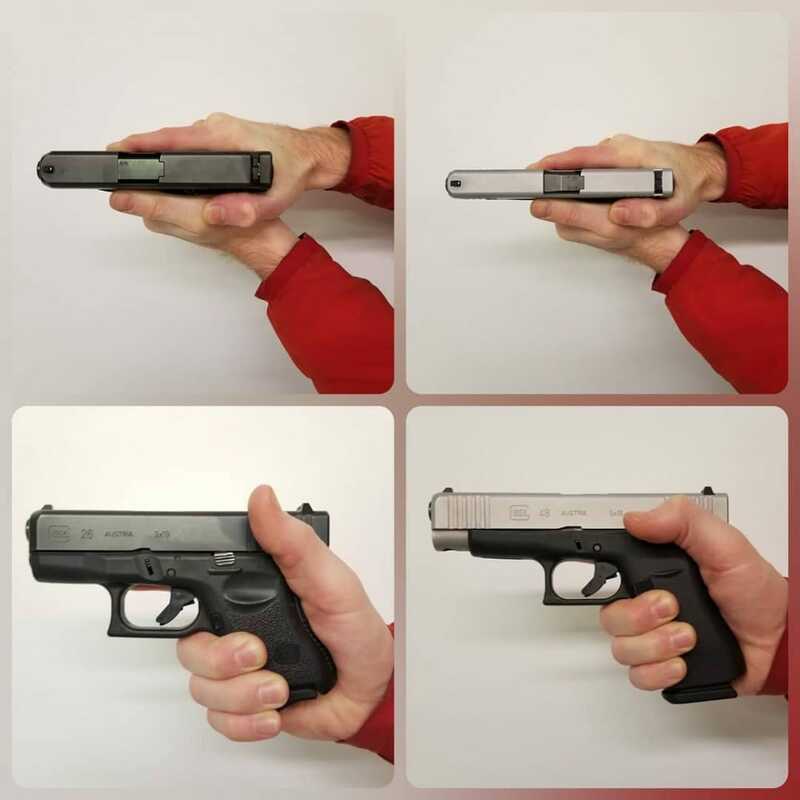 The fact that he had the same “hell yeah” reaction to the G48 as @waypoint_shooting (who has significantly smaller hands) did is a testament to how “Goldilocks-perfect” the size of the G48 is. Q: Why are you so giddy about the Glock 48? This is just shady marketing stuff. You’re a pallid shyster. A: RCS was as silent as a church mouse about the G42, G43, G19M, G19X, G45, etc. Hell, I have even openly stated I am “meh” about the G43X. So tell me what’s funny about the fact that after almost 20 years of waiting, Glock finally made the pistol that I always wanted, and now I am excited to tell everyone about it? MG: Big paws don’t usually mix with tiny gats. But the G48 is a Goldilocks size 9mm pistol. 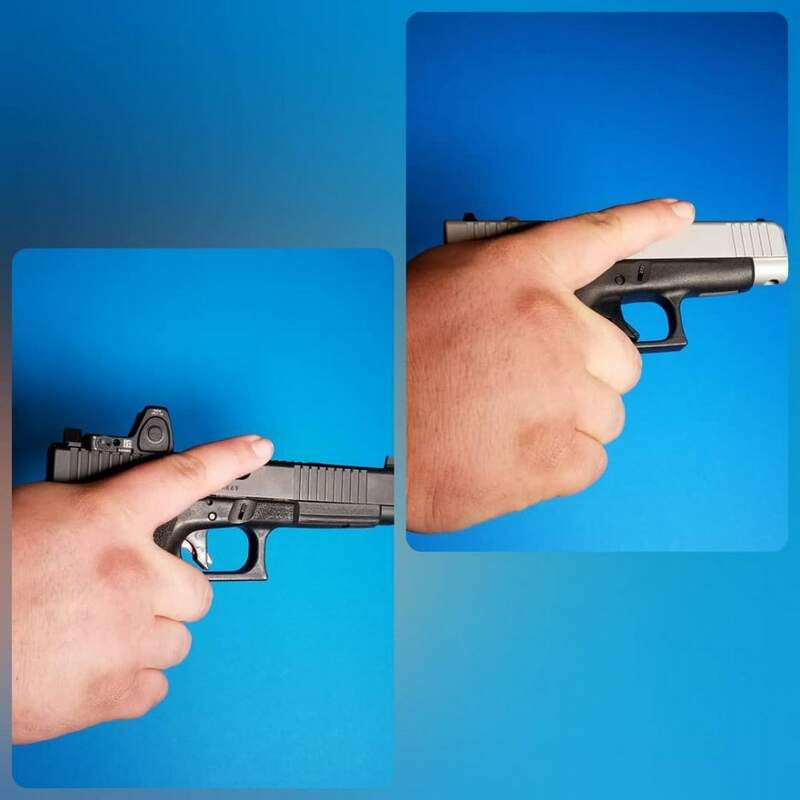 This is a handgun that is equally shootable by a 5′ 3″ female with tiny hands or a 6’7″ berserker with hands the size of catcher’s mitts, A customer requested a pic of “the other side” of this comparison photo, so here it is. 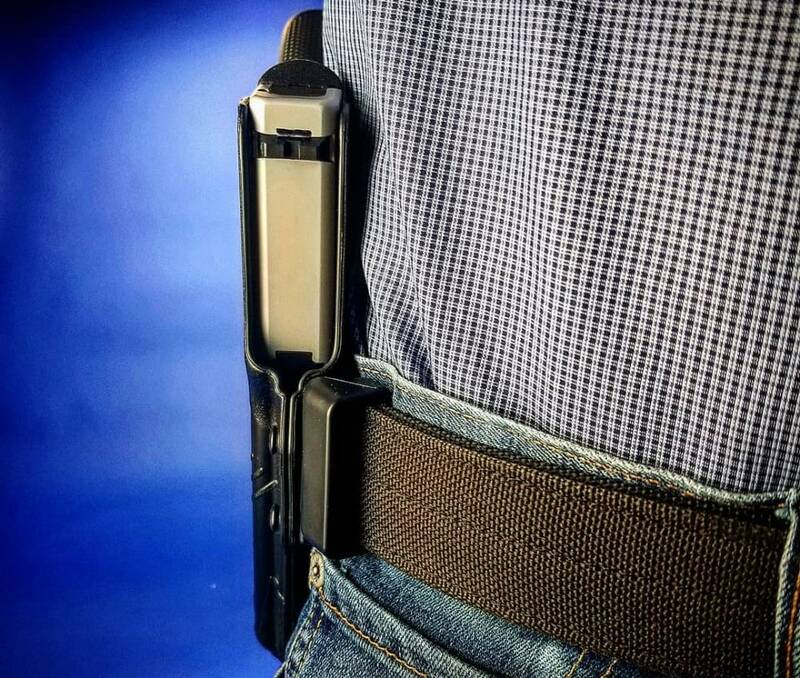 Here’s a look at the new Perun holster for the Glock 48, which will make their public debut next week at SHOT Show. GM: In my book, the G48 is truly a pistol to get excited about. Lots of ‘expert’ opinions are flying around out there on IG, but those of us who have actually carried and shot these new pistols are pretty stoked about their upcoming release. As you can see, he spent more time on the G48 than the 43X but did answer a number of questions many people (myself included) were asking. Does this mean you should run out and buy one of either? No, but hopefully it provided you with some of the information you need to begin making an informed decision. For myself, I would never buy a gun I hadn’t had the opportunity to shoot, and (if it’s one I might have to stake my life on) never before talking to folks far more knowledgable than myself. I’m tending towards wanting a G48 more than a G43X, though the grip of the latter does look like it would help tame muzzle flip. Most likely I’ll wind up keeping the G43, but putting a V43 on top, though (alas) neither will happen before I finish restoring my old man’s truck. I’ll post some more links in the coming days. 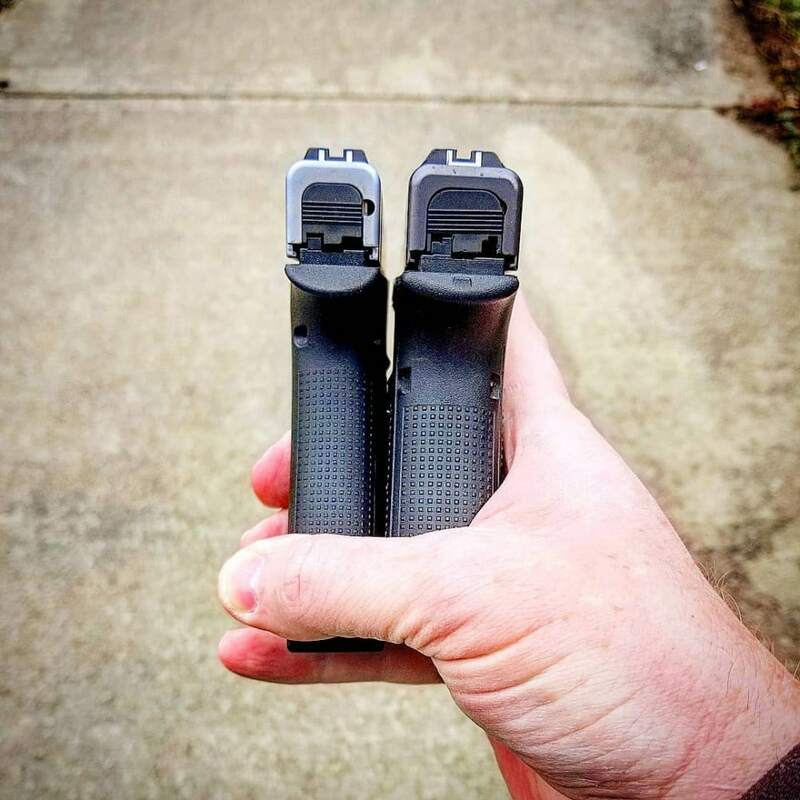 Rich Grassi of Tactical Wire has been doing a series of articles (like this one with Chuck Haggard) about the Slimlines, and they’re well worth the read. 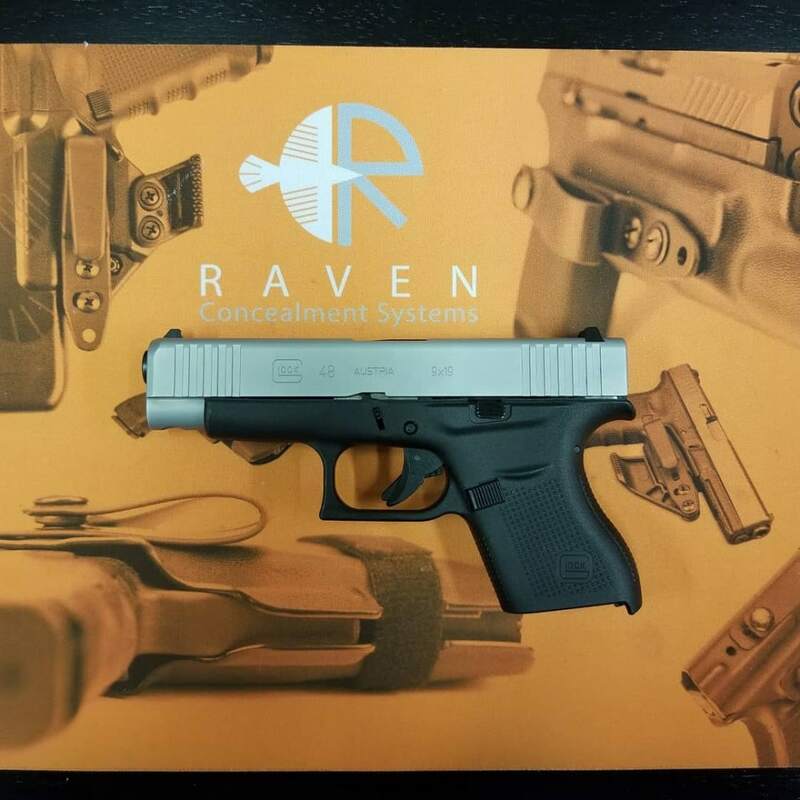 In the meantime, go follow Raven Concealment on Instagram (@ravenconcealment) to watch for more of the Pale Man’s pontification. Oh, and on the subject of IG accounts to follow and concealing weapons, be sure to check out Sharp Dressed Shooter, too. You’re welcome. That’s all for now. 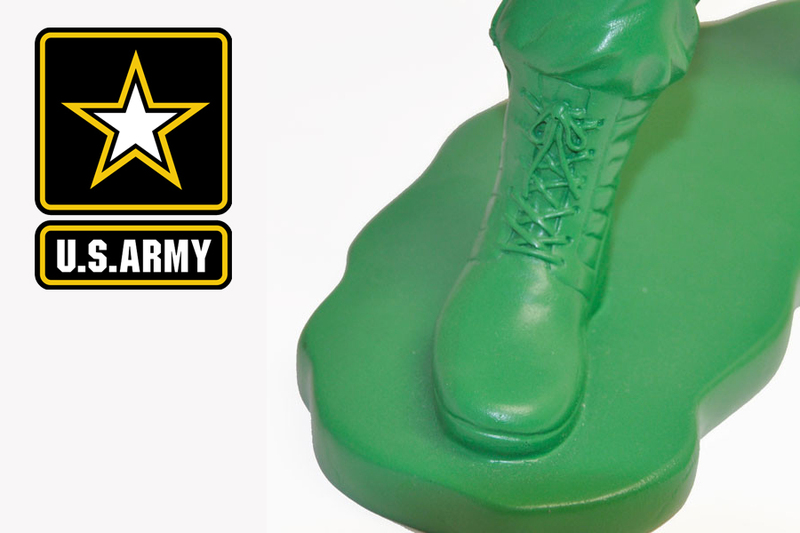 Go forth and conquer. Like what you read here on Breach-Bang-Clear? Raven Concealment Systems has declared for House Morningwood. 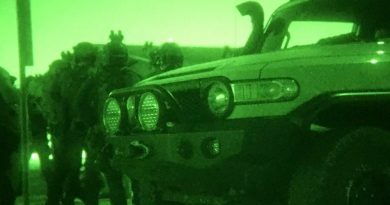 They’re a part of the tactical buyers club (tacticalbuyersclub.com): that means you have access to special pricing, sales, and buying opportunities…if you’re one of the clever folks who back us on Patreon! I admit I wasn’t sold on the silver finish, but it’s growing on me and seems to be extremely durable and forgiving. I rotate my carry guns between a G19, 30SF and 43 (now 48!) and I have to say the 48 fills the summertime carry t-shirt/deep concealment role just as perfect as the 43 did with much better balance. Not that the 43 was a bad shooter at all, I just like the “feel” of the 48 in my hand better. I traded my 43 in on the 48 as soon as the dealer handed it to me! I only have 50 rounds through it at the moment but it’s every as accurate as my 43 (I print better groups with the slimlines than I do my 19) It’s point of aim accurate at 7-15 yards, I had no problem whatsoever grouping “headshots” on IDPA targets. That’s my 2 cents on the 48, a friendly word of advice…hide it from your wife. She will confiscate it. Excellent article. Being a Glock shooter since 1993 I have become what many call a GLOCK FAN BOY. I have tried other guns, I like HK’s, M&P’s, and Sig Sauer’s but I always resort back to the Glocks for their simplicity, reliability and ruggedness. I stake my life on my Gen 5 19 every day at work. I really like the idea of MORE choices for carry guns even if others don’t see the point. The 19X and the G45 being the most recent cases in point. I was un-moved by it’s announcement when I first heard about it, then I shot the 19X. It is now my favorite and once I get a hold of a G45 I will be carrying it on duty instead of my 19. I do hate it when I hear people saying things like Glock missed the point by making a certain gun. If you don’t like something you don’t have to buy it, that is what is great about living in a semi free society. I believe more choices is always better I will probably wind up with both the 43X and the 48 because I carry according to the way I dress and where I am going. My current rotation of off duty carry guns are a 26, a 43, a 19 and my most favorite of favorites is my 19X. 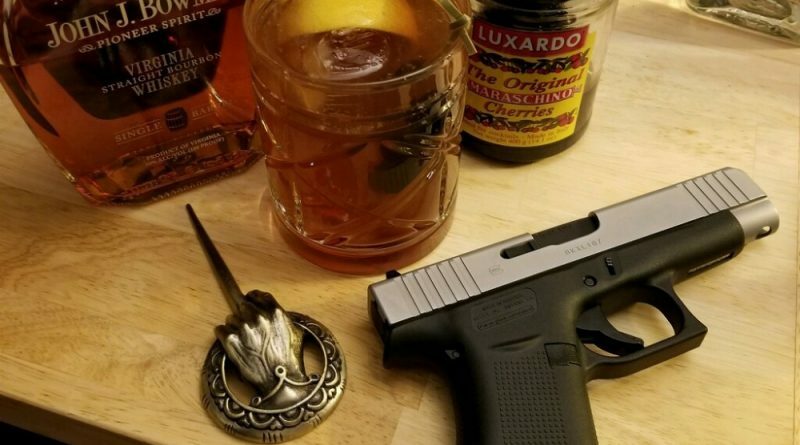 None of my Glocks have ever let me down. To me that is the most important thing, it goes bang when I want it. I am sure the G48 and the 43X will carry Glocks “boring” reliability and I really like the finish. 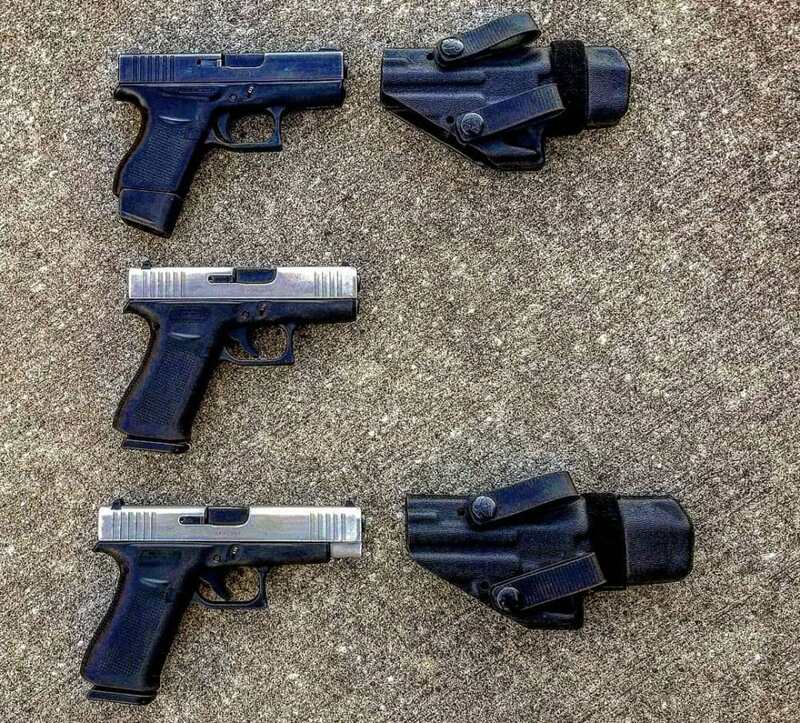 I must confess that I am one of those people who have always thought the Glocks were aesthetically pleasing. My very first hand gun purchase was a Glock 19. More power to Glock for expanding the market. The more people that guns appeal to the more we bring into the culture and the more political clout we can wield. So I believe we should support any reputable gun manufacturer for bring in a new model even if it does not suit our needs at the moment. we never know what the future holds and I am old enough to have learned to never say never. So, thank you Glock. and thank you guys for a great article. Looks OK, need to fondle and shoot before buying. I have the g43 and g26, if it feels like I need to, I will purchase. Nice article. 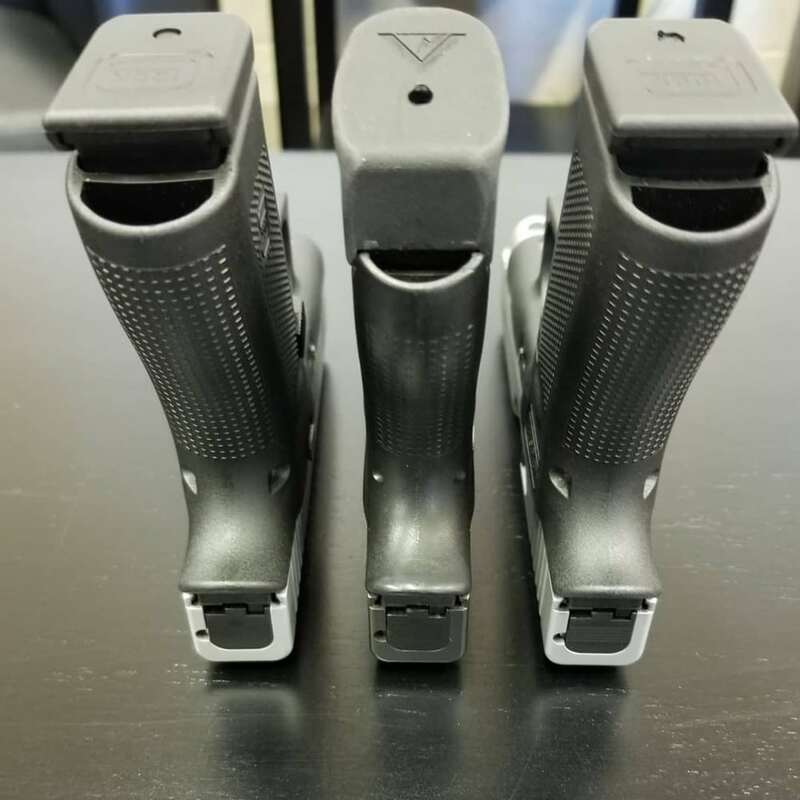 I have been waiting for a single stack 19 for years and as much as I like my 43 and 19 I sure hope the 48 is the Goldilocks version in the middle. The grip shape and thickness once it is in hand will tell if it replaces my CZ P10C. If I buy a 48 (likely) I can have a 43, 43X, 48 and longslide 43 by just buying one gun. I look forward to getting my hands on a 48 as soon as possible. I won’t be running out to buy either because I’m pretty happy with my P 365 and the 13 rounds I can carry in it. If it’s true that Glock was aiming for the P 365 I think it’s fair to say they missed the mark.